Over $1.5 million has been paid out since the inception of The Pyramid Society Futurities! 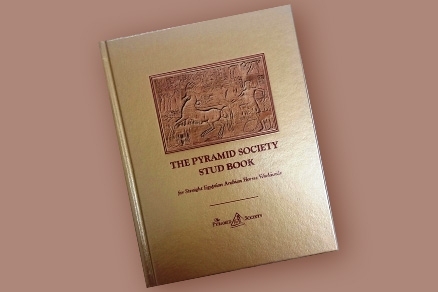 With divisions serving Yearling, 2-Year-Old, and 3-Year-Old Colts and Fillies, the annual Futurities offer Pyramid Society members a chance to nominate and sustain their Straight Egyptian foals in-utero, placing a wager on each breeding's future success in The Egyptian Event show ring. Futurity foals are judged using a European-style system, comparing each horse against The Pyramid Society's ideal or "Standard of Excellence" for Straight Egyptians. Foals in the winner's circle in 2014 won a portion of over $52,000 in Futurity prize money. The more foals nominated, the greater the pot!